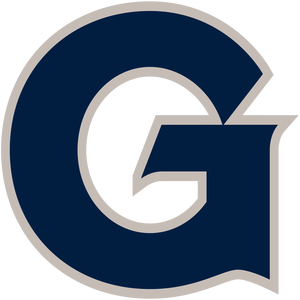 Kristen Meier was named an assistant coach for the Georgetown University women's soccer team in August 2016. Meier is in her second season with the Hoyas after serving as a volunteer assistant during the 2015-16 school year, while working as the head coach / age group coordinator at the Braddock Road Youth Club in Virginia. Additionally, she served as an assistant coach with the Spirit Academy in the Women's Premier Soccer League (WPSL). Meier works with the field players and helps in day-to-day operations of the team. She helped lead Georgetown to its most successful season in program history in 2016 as the team reached the NCAA College Cup and won the Big East Championship. Meier was part of a staff that was recognized as the Coaching Staff of the Year by the United Soccer Coaches (formerly the NSCAA). In 2017, the Hoyas won both the Big East regular season and tournament championships. A 2013 graduate of Wake Forest, Meier played in 88 games during her career, tied for the fifth most in school history, and started 77 times. Her 18 career assists are the fifth-most in school history and she added nine goals for 36 points during her career. In 2011, when Wake Forest reached the NCAA Women's College Cup, she was the first-ever Demon Deacon selected to the NCAA All-Tournament Team. Meier was also part of the 2010 ACC Championship team. She earned her degree from Wake Forest in mathematical economics. Following her graduation, Meier was selected in the third round (23rd overall pick) of the National Women's Soccer League College Draft by Seattle Reign FC for the inaugural season of the league. She made six appearances, starting four times, during the 2013 season. Meier was invited to the United States Women's National Team (USWNT) U-23 camp. Meier earned a United States Soccer Federation (USSF) National "D" license in 2015.